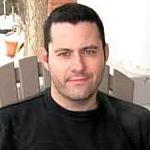 Adrian McKinty is a British crime novelist and critic born in Northern Ireland. His debut crime novel, Dead I Well May Be, was published in 2003, and was the first in the Michael Forsythe Trilogy; since then he has published more than a dozen additional novels. He is the author of The Lighthouse Trilogy and the Sean Duffy Series. He is a winner of the Edgar Award, the Ned Kelly Award, the Barry Award, the Audie Award, the Anthony Award and has been shortlisted for the CWA Ian Fleming Steel Dagger, the Theakston Old Peculier Crime Novel of the Year Award and the Grand Prix de Littérature Policière. Adrian McKinty was born in Belfast, Northern Ireland in 1968 and grew up in Victoria Council Estate, Carrickfergus, County Antrim. His father was a welder and boilermaker at the Harland and Wolff shipyard before becoming a merchant seaman. McKinty is the fourth of five children. He grew up reading science fiction and crime novels particularly Ursula Le Guin, J G Ballard and Jim Thompson. He studied law at the University of Warwick and politics and philosophy at the University of Oxford. After graduating from Oxford in 1993, McKinty moved to New York City and found work in a number of occupations: security guard, barman, bookstore clerk, rugby coach, door to door salesman and librarian for the Columbia University Library. In 1999, while his wife studied for a Fulbright in Israel, McKinty played loose head prop forward for the Jerusalem Lions Rugby Club. In 2000, he relocated to Denver, Colorado to become a high school English teacher. After writing several short stories, a novella and book reviews, his debut crime novel Dead I Well May Be was published by Scribner in 2003. McKinty and his family moved to Melbourne, Australia, in 2008, to become a full-time writer. He also writes on and reviews literature for a number of publications including The Guardian. McKinty is primarily known as a writer of genre fiction, crime and mystery novels and young adult fiction. Patrick Anderson of the Washington Post has praised McKinty as a leading light of the "new wave" of Irish crime novelists along with Ken Bruen, Declan Hughes and John Connolly. He often uses the classic noir tropes of revenge and betrayal to explore his characters' existential quest for meaning in a bleak but lyrically intense universe. Steve Dougherty writing in The Wall Street Journal praised McKinty's use of irony and humour as a counterpoint to the violent world inhabited by McKinty's Sean Duffy character. Some reviewers have criticised the explicit use of violence in his novels. However, in reviewing McKinty's Fifty Grand in The Guardian, John O'Connor called him a "master craftsman of violence and redemption, up there with the likes of Dennis Lehane." Liam McIlvanney, writing in the Irish Times, singled out McKinty's lyrical prose style as the defining characteristic of his Sean Duffy series: "his prose is vital, vigorous and – as that other Carrickfergus boy, Louis MacNeice, would have it – 'incorrigibly plural'." McKinty is a book critic and op-ed writer for The Guardian, The Sydney Morning Herald, The Washington Post, Literary Hub, The Australian, The Irish Times and Harpers. His debut crime novel Dead I Well May Be was short-listed for the CWA Ian Fleming Steel Dagger Award 2004. Fifty Grand won the 2010 Spinetingler Award for best novel and was longlisted for the 2011 Theakston Old Peculier Crime Novel of the Year Award. The Cold Cold Ground won the 2013 Spinetingler Award for best crime novel, was shortlisted for The 2013 Prix Du Meilleur Polar, was shortlisted for the 2015 Prix SNCF Du Polar, and Crime Fest's 2013 Last Laugh Award. In the Morning I'll Be Gone won the 2014 Ned Kelly Award for best fiction, was shortlisted for the 2015 Audie Award For Best Thriller and was named as one of the 10 best crime novels of 2014 by the American Library Association. Gun Street Girl was shortlisted for the 2016 Edgar Award (best pbk original), the 2015 Ned Kelly Award, the 2016 Anthony Award (best pbk original), the 2016 Audie Award for Best Mystery, was a Boston Globe "Best Book of 2015" and an Irish Times "Best Crime Novel of 2015." Rain Dogs won the 2017 Edgar Award (best pbk original) and the 2017 Barry Award. It was a Boston Globe Best Book of 2016, an Irish Times Best Crime Novel of 2016 and was shortlisted for the 2016 Theakston Old Peculier Crime Novel of the Year Award, the 2016 Ned Kelly Award, the CWA Ian Fleming Steel Dagger 2016, and the 2017 Anthony Award (best pbk original). Police at the Station and They Don't Look Friendly won the 2017 Ned Kelly Award, was short listed for the International Thriller Writers Awards 2018 (Best Paperback Original Novel), was short-listed for the 2017 CWA Ian Fleming Steel Dagger Award and was picked as a Boston Globe best book of 2017. ^ Doyle, Martin (2 October 2017). "Rain Dogs by Adrian McKinty is October's Irish Times Book Club pick". The Irish Times. Dublin, Ireland. Retrieved 27 March 2018. ^ Rowbotham, Jill (23 January 2015). "Adrian McKinty, writer, 46". The Australian. Retrieved 2 October 2018. ^ "Adrian McKinty". The Guardian. Retrieved 2 October 2018. ^ "Boucercon Nominees". Archived from the original on 7 February 2012. ^ Burke, Declan. "Irish Times". ^ Anderson, Patrick (26 March 2007). "Going great guns in Belfast". Washington Post. Retrieved 28 March 2016.